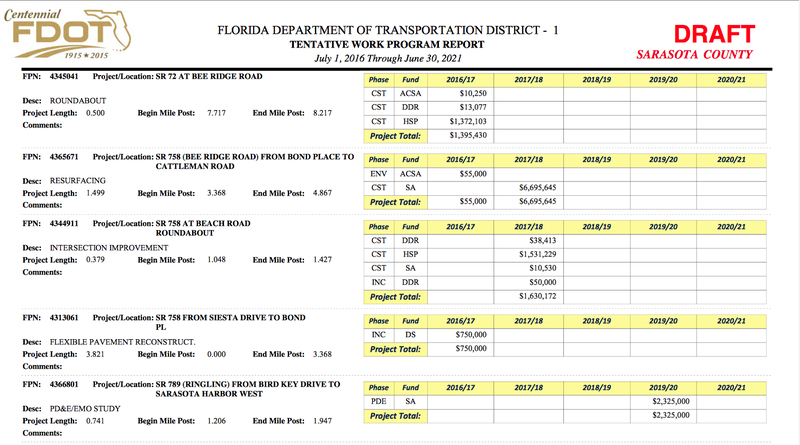 Although residents largely have remained opposed to the prospect of a roundabout at the intersection of Midnight Pass Road and Beach Road, the project is listed in the draft of the 2017-2021 Five-Year Work Program for the Florida Department of Transportation (FDOT), I learned this week. With a total cost of $1,630,172, the roundabout is listed for the 2017-18 fiscal year. He pointed out that the plan has to win support of the Florida Legislature before it is put into effect on July 1, 2016, when the department’s fiscal year begins. An FDOT news release adds that the state’s transportation secretary also has to put a stamp of approval on the document. 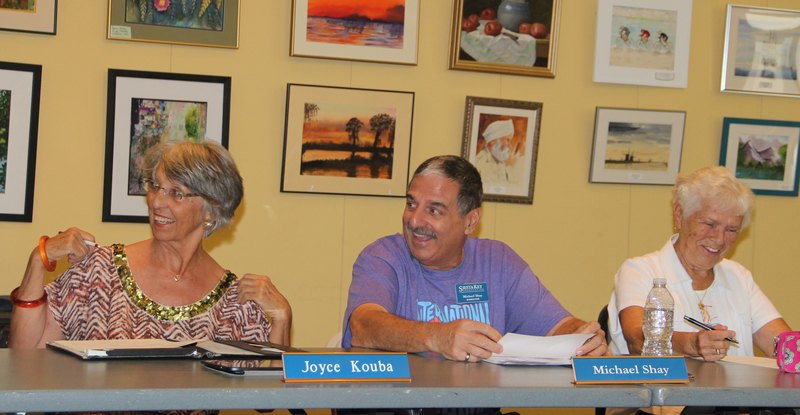 Stublen noted, “We make changes all along,” as the effort proceeds toward gaining final approval. However, L.K. Nandam, FDOT district operations engineer who was present to talk about a different project, told SKA members, “We’re still processing the feedback” that department staff heard during community discussions about the roundabout, which were held over the previous months. Regardless of what FDOT decides to do, Nandam added, department representatives will bring the matter back before the SKA for further consideration. During the Feb. 5 SKA meeting this year, the roundabout was the primary focus. Ben Walker, director of multi-modal planning for HNTB Corp. in Tampa, explained that the proposed project was an outgrowth of concerns raised during FDOT’s 2011-2012 initiative to construct pedestrian crosswalks on Midnight Pass Road between the Beach Road and Stickney Point Road intersections. He added that a lot of pedestrians and people on bicycles cross at the Midnight Pass Road/Beach Road “T” intersection. One option in lieu of a roundabout, Walker said, would be to remove the free-flow right-turn lane for northbound traffic on Midnight Pass Road at the intersection. 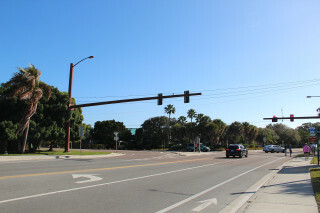 However, he continued, the construction of a roundabout would lead to slower, safer speeds for vehicles and, FDOT engineers believe, reduce traffic backups. The design would enable large trucks and vehicles towing boats to maneuver through the roundabout without difficulty, he said. The department would not need to purchase any right of way for the project, he added. In February, Walker estimated construction costs would range from just under $500,000 to about $2 million, depending on landscaping. He noted that any landscaping would be designed to afford drivers the greatest level of visibility. 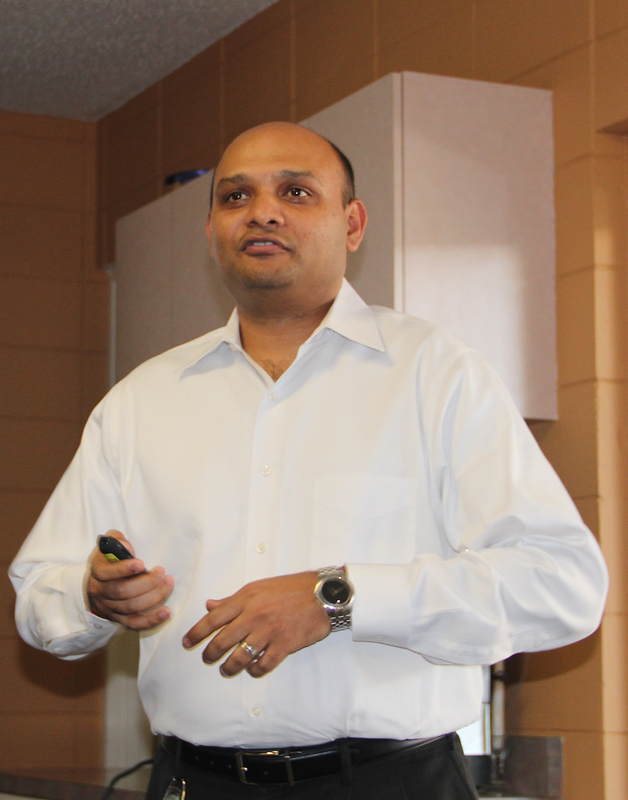 A video Nandam showed the audience members during that February meeting included information that the United States has more than 5,000 roundabouts and that severe injuries and fatalities resulting from crashes have been reduced up to 90 percent in locations where roundabouts have been constructed. The fastest a vehicle has been shown to be able to move through a roundabout is about 25 mph, he noted. One audience member said he lived for 14 years in Richardson, Texas, which straddles the Dallas and Collin county lines, and became very familiar with a roundabout in that city. He added that it was impossible for pedestrians to cross the highway at the site of the structure. 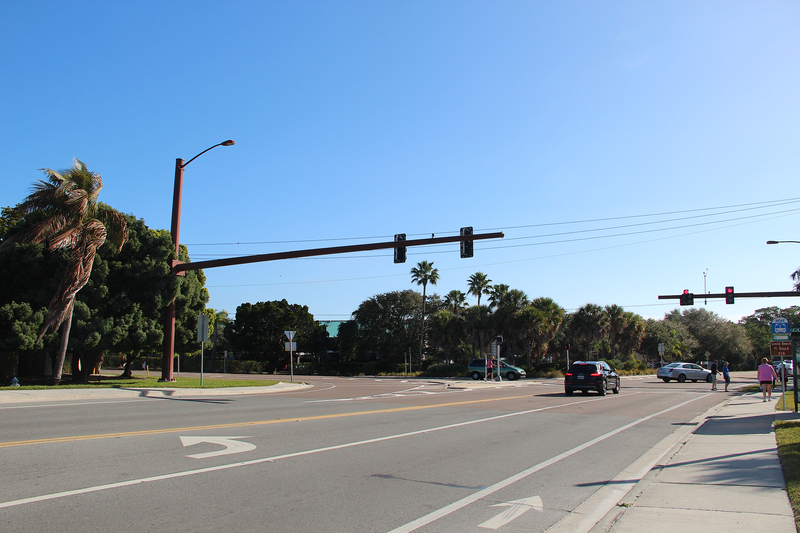 Given the amount of traffic on Beach Road and Midnight Pass Road, the man added that he felt Siesta pedestrians would find it nearly impossible to negotiate the roundabout FDOT staff envisions. Shay responded that during the peak of season, “you’ve got a steady stream of people walking from [St. Boniface Episcopal Church]” to the beach. (The church allows beach visitor parking for a donation.) While he was not concerned about people getting across the street if the roundabout were built, Shay continued, he was worried about traffic backing up a long way, with vehicles having to stop constantly for those pedestrians. When Patterson then asked about accident data, Walker told her FDOT staff counted 11 incidents over the past five years in the area of Midnight Pass Road near St. Boniface; no fatalities were reported. When SKA board member Beverly Arias voiced concern about drivers speeding west down Midnight Pass Road toward the roundabout, unaware of the traffic situation they would face, Nandam assured her that FDOT would erect signage to alert drivers. 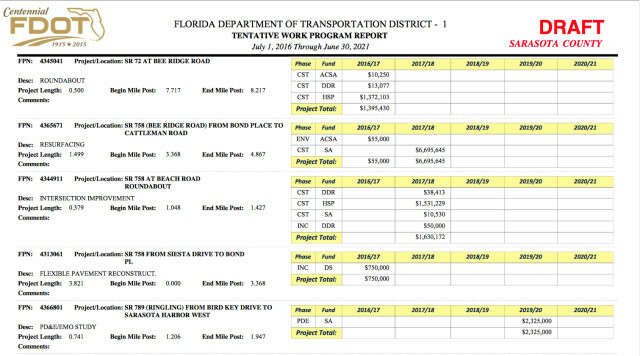 Anyone wishing to take a look at the tentative 2017-2021 FDOT work plan for Sarasota County may find it on the department website. Speaking of transportation on Siesta, work continues on the Stickney Point Road drawbridge, FDOT notes in its latest RoadWatch Advisory for Sarasota County. A number of repairs are being made to the bridge and the seawall, including improvements to the tender/control house and mechanical and electrical components of the bridge. The project also calls for repainting the structure. FDOT says motorists “should use caution while driving through the work zone and plan additional travel time.” Flagging crews are on the bridge between 9 p.m. and 7 a.m., the advisory adds. “Extended bridge openings of up to 15 minutes may occur during this time,” it points out. Completion of the project is expected by the end of this year or early 2016. Coastal Marine Construction Inc., based in Venice, is the contractor.